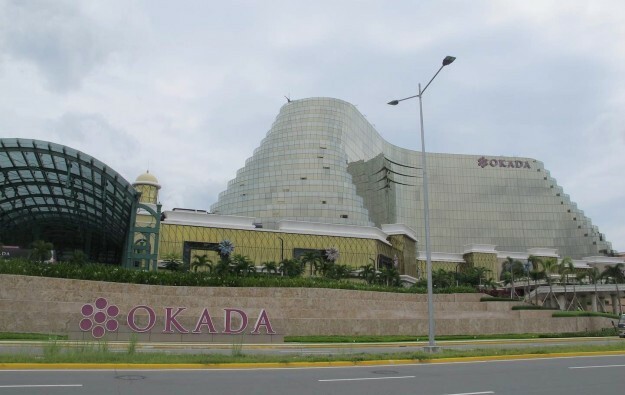 Sales at the Okada Manila casino resort (pictured) in the Philippines rose 30.2 percent sequentially in the second quarter ending June 30, to JPY12.74 billion (US$114.9 million) compared to nearly JPY8.90 billion in the first quarter. So said a Thursday filing from Japanese gaming conglomerate Universal Entertainment Corp. The property however recorded an operating loss of JPY1.61 billion for the second quarter, 14.3-percent more than in the prior-year period. The group also reiterated a pledge made in May to take Okada Manila public. It gave a little more detail, saying the flotation of Tiger Resort, Leisure and Entertainment Inc – the promoter of the US$2-billion scheme – would happen next year, but didn’t specify if it would be done via the Manila bourse. “Details will be disclosed as soon as they are finalised,” stated the Thursday announcement to Jasdaq Securities Exchange. The firm added the move would “accelerate” the resort’s growth and “raise its name recognition”. Universal Entertainment – which also has interests in pachinko machine manufacturing – reported a JPY172.5 billion profit in the second quarter, compared to a JPY6.62 billion loss in the prior-year second quarter. The two figures are not comparable because in 2017 Universal Entertainment changed its fiscal year end to December 31. Universal Entertainment said in its latest operating results that its casino resort business posted net sales of JPY21.64 billion and an operating loss of JPY3.02 billion in the first half of 2018. To increase earnings from the mass market, there would be “more non-gaming facilities and services that match customers’ needs,” said Thursday’s filing. “In the VIP casino, operations are benefiting from the full-scale operations of current junkets. In addition, Okada Manila plans to start initiatives to attract an even larger number of VIPs from other countries. Plans include strengthening the international marketing, opening sales offices in strategic countries, and adding and enhancing amenities that position Okada Manila as an integrated resort,” stated the firm. The company indicated however that not all the hotel rooms in the first tower were yet open. Okada Manila had its initial “preview period” – a soft launch for a few non-gaming amenities – in December 2016. “In Okada Manila’s hotel, the opening of all rooms in Tower A is now in sight,” said Thursday’s release. “This will better position the resort to host tour groups from other countries and expand banquet package plans for corporate events, conferences and weddings. These activities are expected to lead to higher earnings for non-gaming business,” the group added.